Dr. Peter Gleick is renowned the world over as a leading expert, innovator, and communicator on water and climate issues. He co-founded and leads the Pacific Institute in Oakland, celebrating its 25th anniversary in 2013 as one of the most innovative, independent non-governmental organizations in the fields of water and economic and environmental justice and sustainability. Peter Gleick received the prestigious MacArthur “genius” Fellowship and was named “a visionary on the environment” by the BBC. He was elected both an Academician of the International Water Academy, in Oslo, Norway and a member of the U.S. National Academy of Sciences. Wired Magazine featured Dr. Gleick as “one of 15 people the next President should listen to.” He received his B.S. from Yale University and an M.S. and Ph.D. from the University of California, Berkeley. Dr. Gleick serves on the boards of numerous journals and organizations, and is the author of many scientific papers and nine books, including the influential series The World’s Water and Bottled and Sold: The Story Behind Our Obsession with Bottled Water, and newly released A Twenty-First Century U.S. Water Policy. I have just ended my sophomore year at Northeastern University as an International Affairs/Anthropology major. Ten years ago I had the pleasure of being a part of the Brick Project at my “alma mater”, the Cape Cod Lighthouse Charter School. Living on Cape Cod and having been raised by very socially and environmentally conscious parents has blessed me with an appreciation for the vibrant ecosystems around us and the fragility of them as well. I am very interested in the work you do at the Pacific Institute as well as in the future student participants of The Brick Project. In today’s world, why is it important for middle school students to understand issues related to water sustainability on our planet, and what would you like them to think about, aspire to, and actively do regarding these issues? Water is perhaps our most precious and important resource. We need it to drink, cook, wash, grow food, and produce all of the goods and services that society wants and uses. While there is a tremendous amount of water on Earth, the vast majority of it is salt water in the oceans — too salty to drink or to grow crops. What’s left is found in rivers, underground aquifers, lakes, ice caps, and even in the atmosphere and incorporated into plant and animal tissues. And the Earth’s freshwater is not evenly distributed. Parts of the planet are very wet; parts are very dry, with important implications for how humans get and use the water we need. Because of these natural variations in the planet’s water resources, we have learned how to build massive infrastructure to store, move, treat, and distribute water around the planet. We build big dams on rivers to store water during wet periods so we can use it during dry ones. We build massive aqueducts and pipelines to move water from wet regions to dry regions. We know how to treat water to make it perfectly safe to drink, starting from highly contaminated water. We dig wells to get to underground water resources. Even this technology hasn’t solved all our water problems. Billions of people still don’t have access to safe water or sanitation – to get rid of human wastes in a safe and healthy manner. We are still vulnerable to droughts (when too little water is available for our needs) — and floods (when too much water causes death, injuries, and destruction). Natural ecosystems and the environment are suffering from water shortages or contamination caused by human misuse of water. And the climate is changing because of human activities, with growing impacts on water supply and demand. It is time for new ways of thinking about, and managing, our water resources. We must learn to use water efficiently and effectively. Can we do what we want with less water? Yes — this means rethinking how we grow food and where we grow it. It means replacing old inefficient water-using fixtures and technologies with modern efficient ones. It means restoring depleted river flows to save threatened ecosystems. It means managing water carefully for all of its uses. And exploring new options for finding new water supplies that don’t damage the environment. Can we learn how to produce freshwater from salt water with less of an environmental impact than at present? Can we capture more rainwater from our roofs and put it to use in our gardens? Can we treat wastewater to the point where it is clean enough to use for many other purposes? The answer to each of these questions is yes, if we chose to do so. What can each of us do as individuals? First, learn where your own water comes from. Before it reaches you, where did it originate? How did it get to you? How was it treated? What does it cost? Second, learn where your water goes when you are done with it. Follow that drain or toilet flush to the end. Does it just go back into the environment, or is it treated? How is the water treated? Is it clean enough for some kinds of reuse? What happens to it after it is cleaned up? Third, learn about your community water system. Who runs it? Who makes decisions? How are they chosen: are they elected? Are they appointed? Is there a way for anyone to participate in decisions about local water systems? Go visit your local water system. 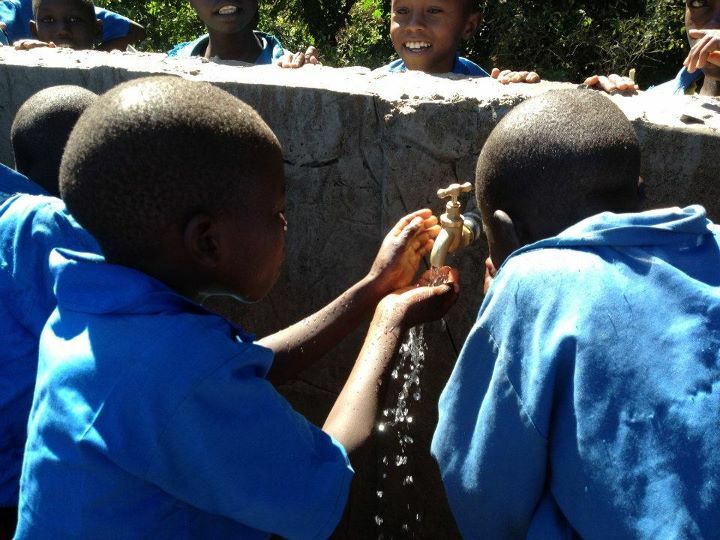 Organize with others to improve water quality or access to water. Find out how much water you use at home and think about ways to use it more carefully with more efficient technologies (better toilets, washing machines, showerheads, garden watering or irrigation systems) or by changing your behavior. Work with local officials and encourage them to improve local water conditions. And in the long run, new ideas for solving our water problems will be needed if we are to use water more sustainably for future generations. Peter Gleick is President of the Pacific Institute in Oakland, California. The Pacific Institute works to create a healthier planet and sustainable communities. They conduct interdisciplinary research and partner with stakeholders to produce solutions that advance environmental protection, economic development, and social equity.